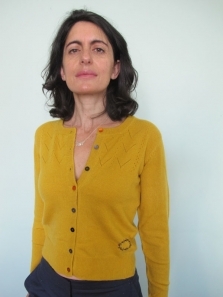 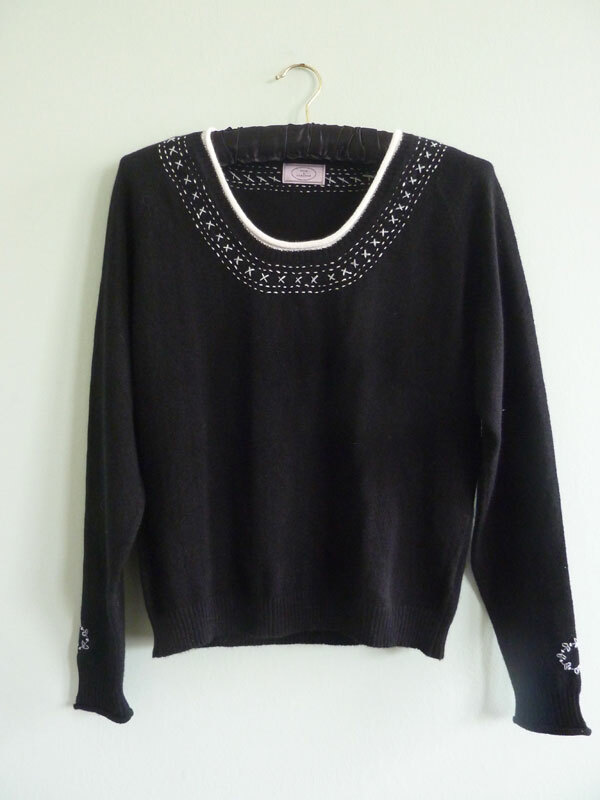 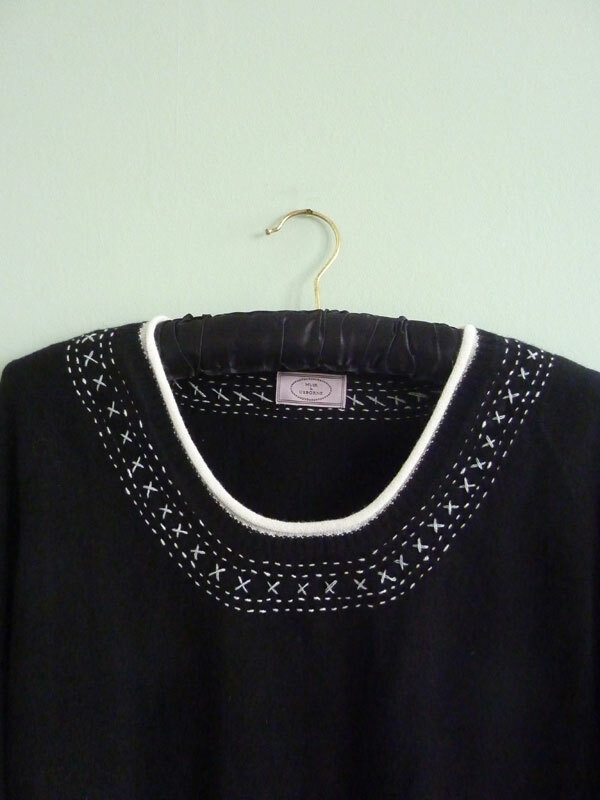 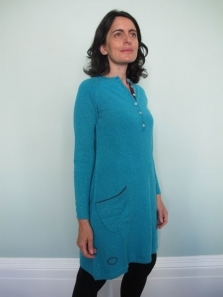 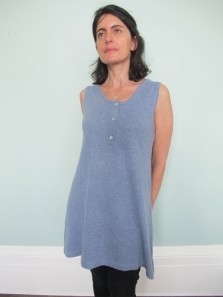 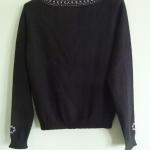 A simple cashmere jumper, perfect shape, with lowish round neck in ecru cashmere. 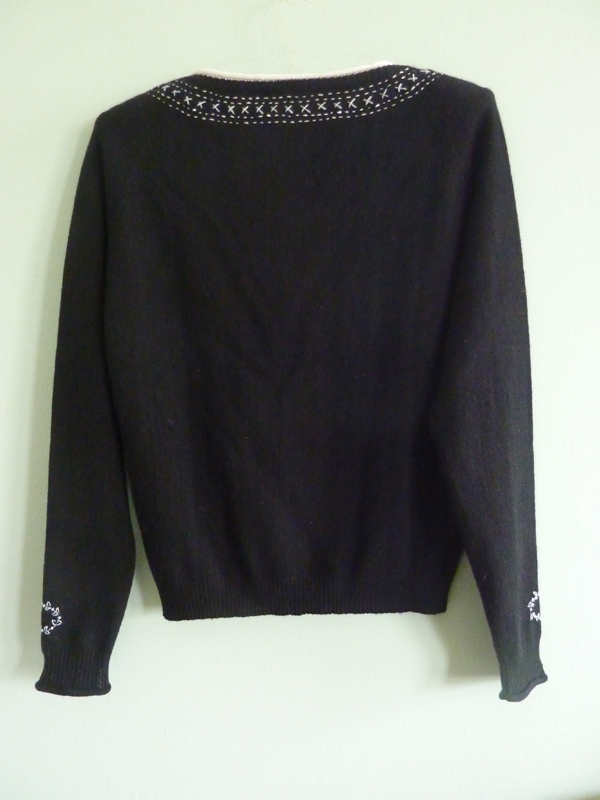 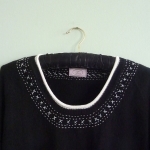 Hand embroidered yoke in ecru and pale blue, a wreath on each raglan sleeve. 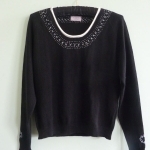 Perfect for wearing with jeans or trousers.